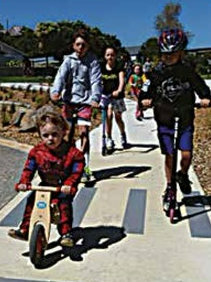 Story from Whitby Newsbrief December 2015 – Mayor goes for a scoot! 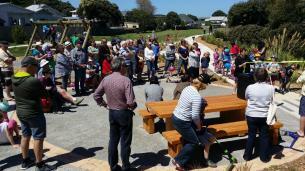 The sun shone and the community gathered at Karehana Park for the official opening ceremony. 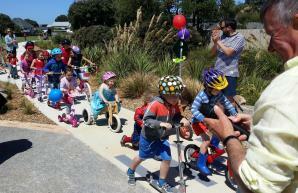 Rarin’ to go! 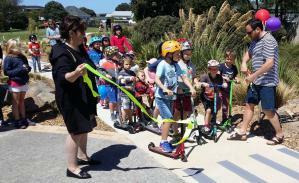 – youngsters gathered with the Mayor of Porirua, Nick Leggett, at the scooter path at Karehana Park, Plimmerton, for the official opening. 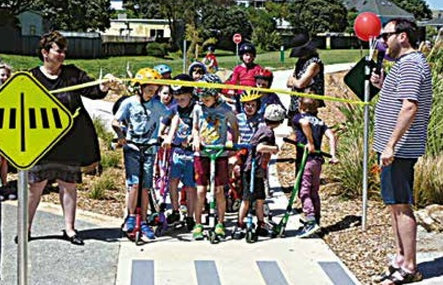 Once the Mayor cut the ribbon, there was simply no holding the group of young enthusiastic scooter riders who leapt into action on the new scooter path at Karehana Park in Plimmerton last weekend. 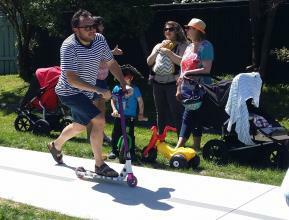 About 100 children, mums and dads, councillors and council officers attended the official opening by the Mayor Nick Leggett, who himself showed some scooter prowess on the crowded track. 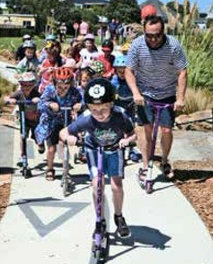 The scooter path was the final stage of the revamp of Karehana Park, funded by the Mana Community Grants Foundation, the Porirua City Council and the local community. 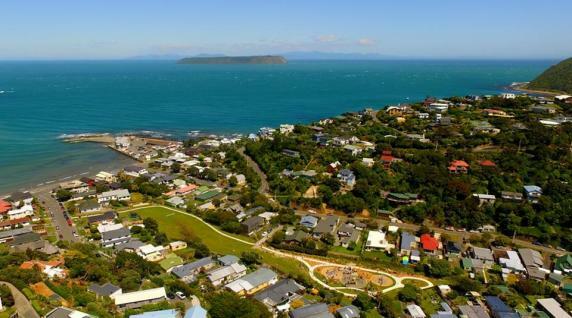 The project has been very much a partnership with the community volunteering with planting, clean ups and adding the final touches. 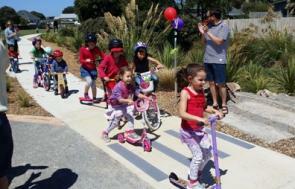 The park has been progressively upgraded since 2012 with enhancement of the stream area, new pathways, pavers, a petanque court, more seating, planting, goalposts, the installation of new playground equipment and finally, the scooter pathway. 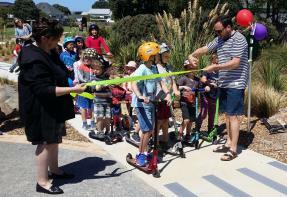 Plimmerton Kindergarten arranged a programme of children’s activities and all of the playground equipment also got a good work out from the children gathered there for the opening.